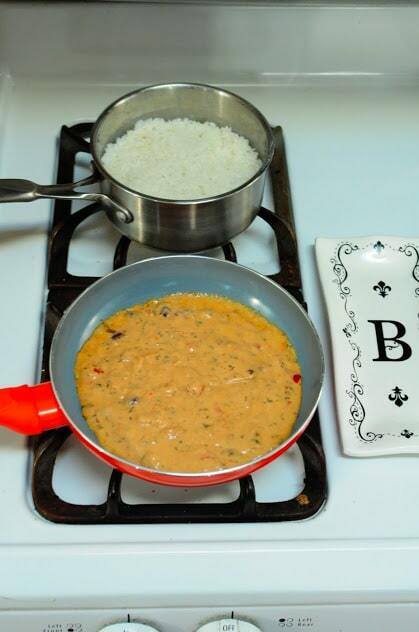 We’re getting a little spicy in the kitchen today! I don’t know about you but I like a little kick to my food sometimes. I also like when I can have dinner ready in under 15 minutes! My life is super busy, with twin one year old boys and a 4 year old girl, a husband who works long hours and is also in school, juggling multiple gigs myself…along with everyday craziness, life can be hectic! Some nights it’s nice to put the kids to bed just a few minutes early and whip up a quick meal like this one, and enjoy some time with my love! 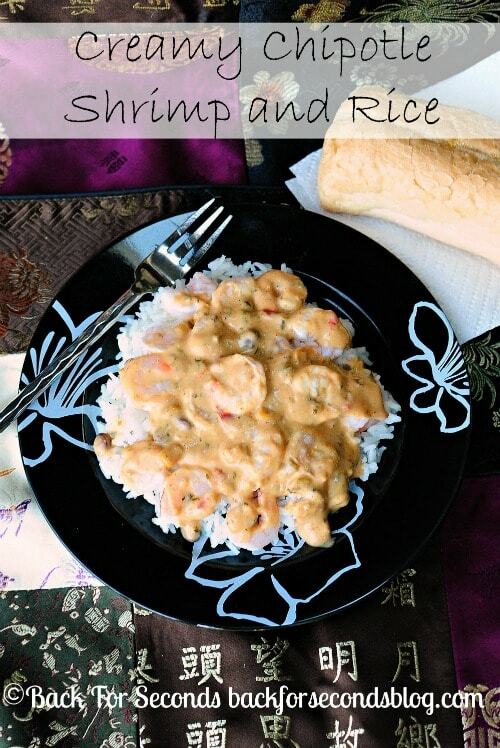 I chose the creamy Chipotle flavor, but you really can’t go wrong with flavors like Fire Roasted Tomato, Toasted Sesame, Marsala, Scampi, and Thai Green Curry. 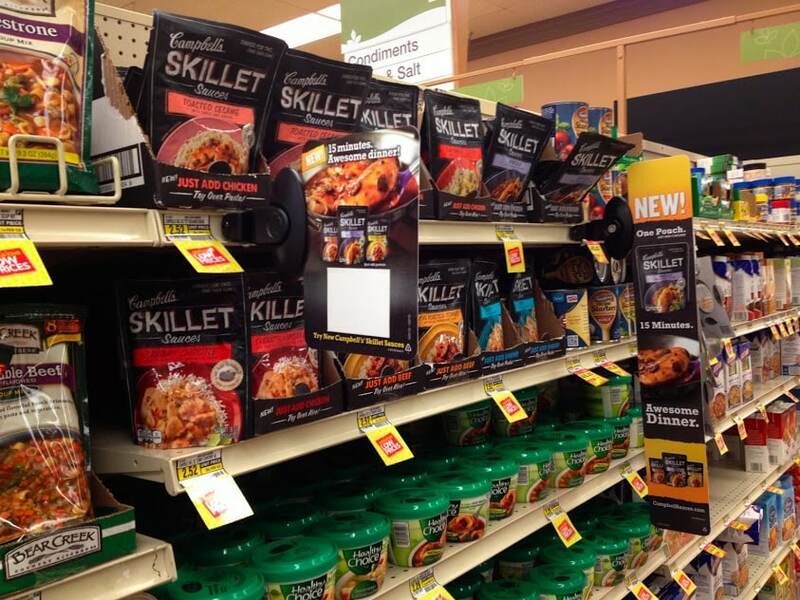 You can find them in the soup aisle and this month you can get a coupon on their Facebook page. 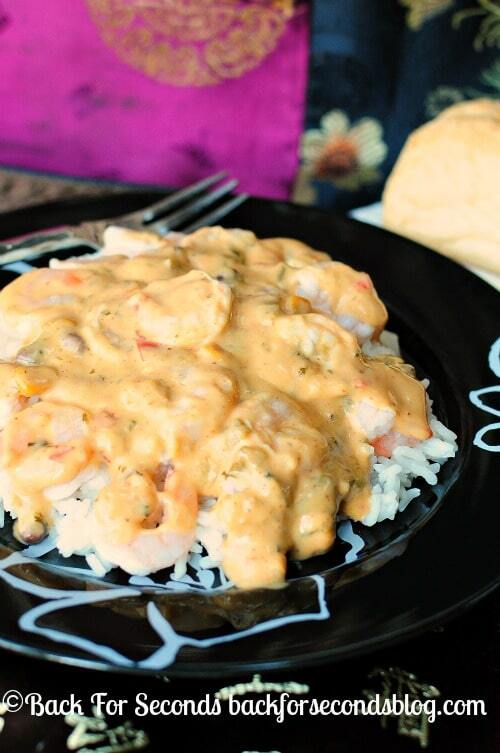 All it takes is 3 ingredients – shrimp, rice, and the sauce of your choice, and in 15 minutes you have a fabulous meal! Follow Back for Seconds here so you don’t miss a post! Just saw this underneath the rice and red bean soup. I cannot resist anything that’s creamy! ;D Mmmm heavenly!